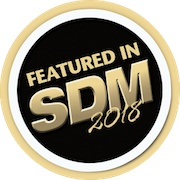 With new cyber threats almost daily, SDM Magazine asks the experts about the burgeoning Internet of Things, its impact on access control and smart buildings, and how it can be secured. SDM spoke with six security industry players on the front lines of cyber security for a roundtable discussion about the impact of the IoT and how the industry is planning to protect it. Matt Barnette, president of Mercury Security, discusses key issues with Karyn Hodgson, Managing Editor, SDM Magazine.